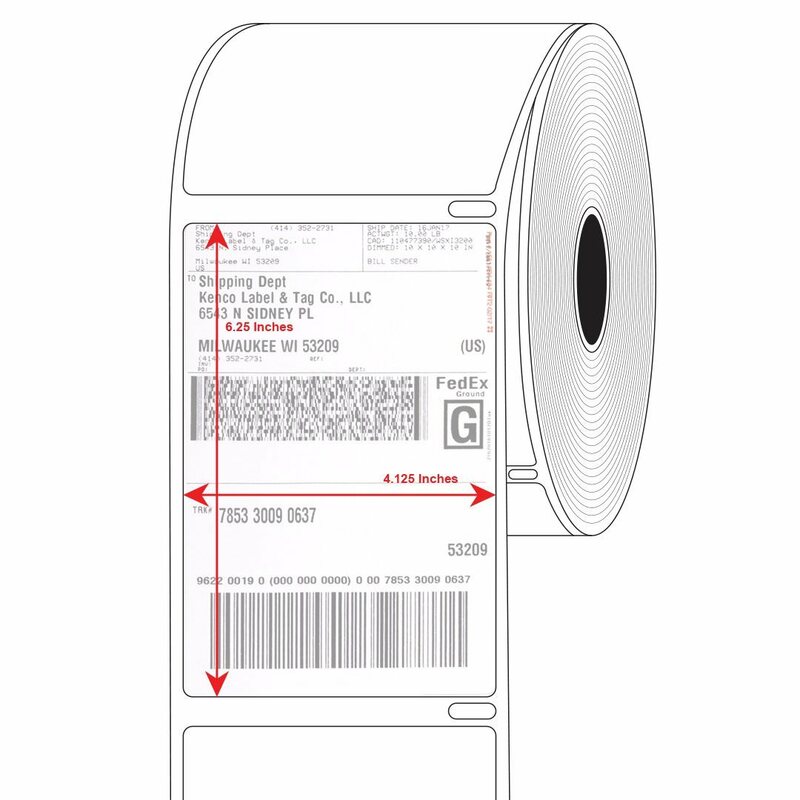 Our Dymo 1744907 compatible Shipping Labels supplied 220 labels per roll (4.125" X 6.25" Actual Size). 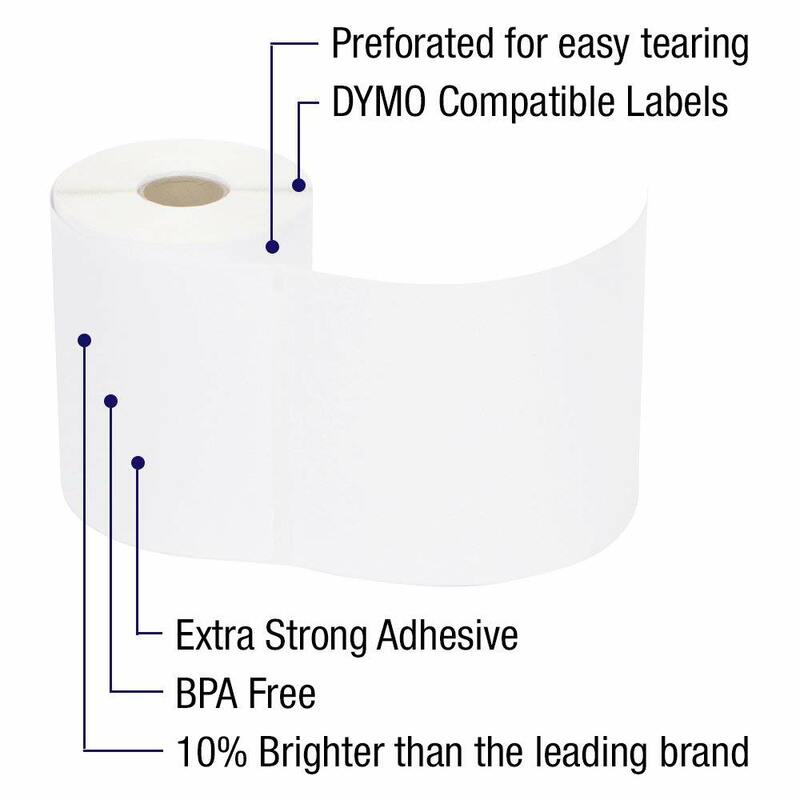 It is 100% compatible with DYMO LabelWriter 4XL. It has a Super Strong Adhesive Glue BPA Free to corrugated boxes and envelopes. It is designed for great adhesion to all shipping surfaces- from corrugated cardboard to plastics. We go above and beyond the standard labels sold online. Our premium labels are perforated to allow easier separation between your labels. 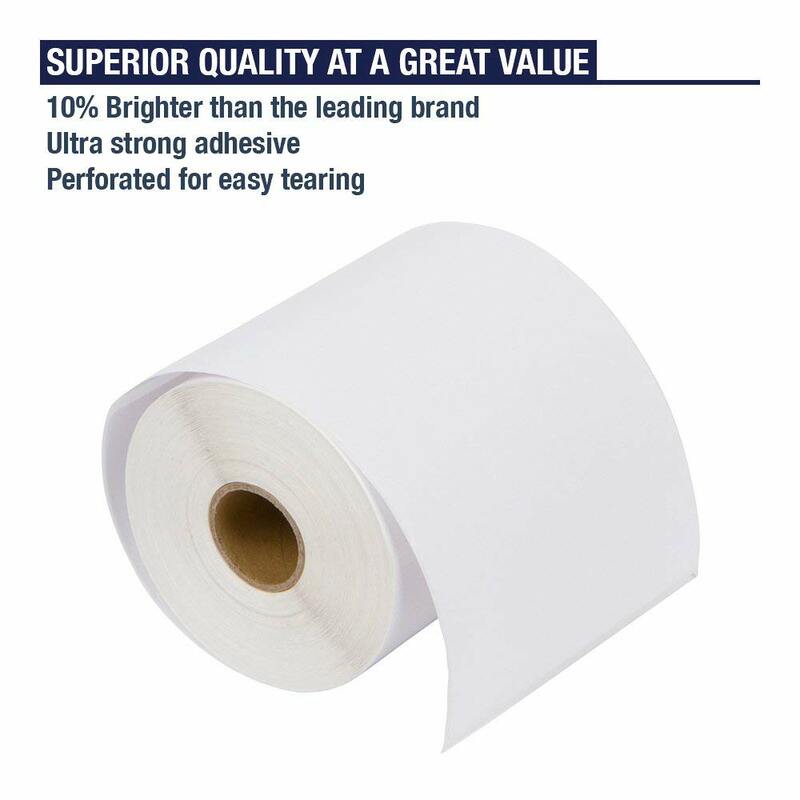 Our labels are made of the highest quality materials ensuring crystal clear printing and significant resistance to smudges and scratches; Ultra Strong Permanent Adhesive - Water and Grease Resistant - 10% Brighter than the leading brand.